с альбома Furious George Gets a Record! 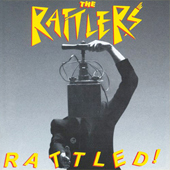 The Rattlers - SLUG - очень крутой кавер, причём песня была опубликована Ramones только через 11 лет. Ну, и очередная сборка от Санчо-с-ранчо - особливо порадовал дуэт с Дебби с кассетного сингла! Есть одноимённый альбом Richie Stotts. Вот на нём отмечен и Марки, и Джоуи с этой песней Rock And Roll Is the Answer. Пруфлинк. Лично я ни альбом, ни песни не слышал. — What are you currently working on? 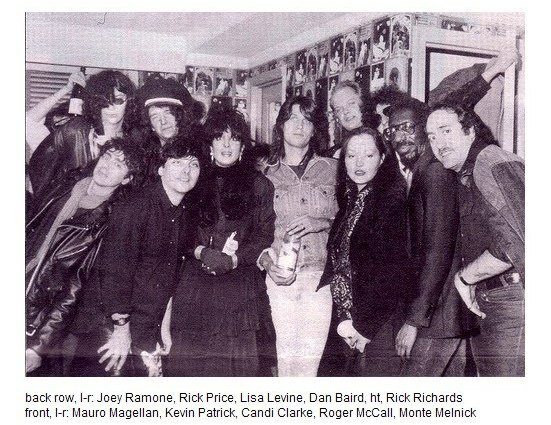 — I just finished recording a song I wrote with Joey Ramone in 1985. I had totally forgotten about the song, when my friend, Omid, brought it to my attention. We were able to use Joey’s original lead vocal line and re-recorded the other tracks. Joey’s brother Mickey participated alongside Charlie Drayton on drums. Joe Blaney engineered and produced it. Футболка из серии "Джоуи нюхает кеды"
Сегодня Джоуи могло бы исполниться 58 лет. Ошибка в просчетах, человеческий фактор. Ололо! А в чём суть, если вкратце? На работе не могу со звуком смотреть. i know you and Joey Ramone talked some and i remember you saying he was still really into rock and roll. i guess that's kinda how i see you. it seems like no matter where our conversations start, we always end up talking about some band or great tune or something. i don't even know what my question is really . . . i think all of us wanna hear about Joey. give me a story about him as one of us. Yeah he was a great guy. Really down to earth. I realized after a while what got him out of bed in the morning was a great song and trying to write another one. It wasn't about how much money he had or how famous he was or any of that. He was a fan too. I remember him telling me he had just spoken to Iggy Pop the night before. He still got a kick out of it. i'm sure this has been asked before, but what was the song- writing process like with him and Ben Weasel on "I Wanna Be Happy"? It was an old idea I'd gotten from Joey years before. Way back in the day Joey had wanted to cover Love Love Love. I remember we did talk to their lawyer about it but then Johnny didn't want to do it. Joe was pissed. It got pretty close to them doing it though. Joey sent us a song they had sitting around that Johnny didn't want to use called Slug. At that time no one knew the song as it hadn't been released. We'd play it at The Rat in Boston and say it was by The Ramones and no one believed us as there weren't any unreleased Ramones' songs out there. Anyway at the end of the cassette tape with Slug on it was Joey working on some songs with an acoustic and that's where I Wanna Be Happy came from. I was hanging out at Ben's one afternoon and we banged it together in about 10 minutes. Pretty cool song. Песня со 2-го альбома Dead Boys "We Have Come For Your Children", в кредитах которой бэк-вокал приписан Ramone Catholic Choir, которые есть никто иные как просто Джоуи с ДиДи. Я правда так толком и не понял, где же там эта самая пресловутая партия бэк-вокала. Видимо это есть слово amen в конце припева.